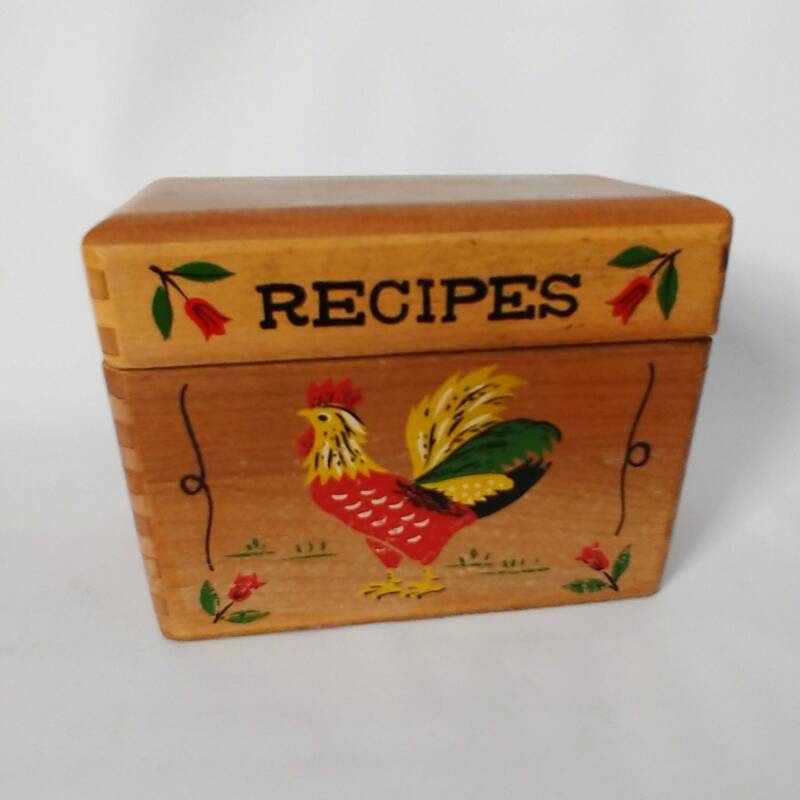 Add this vintage recipe box to your kitchen for a retro or farmhouse style. It features a 4-color rooster and flower painting in red, yellow, black and green along with the word “Recipes” on the front. The back is blank. The box is designed to hold 3 x 5 inch recipe or index cards. Constructed with dove-tail joints from quarter-inch wood, the box is 6 inches wide by 3.25 inches deep and 4.25 inches tall with the top on. The lift-off top is 1.25 inches tall. CONDITION: This vintage box is in great vintage condition with minor wear and scratches. The construction is solid with no breaks or loose joints.